The oil, gas and marine industry has always teetered on the brink of unfortunate circumstances. Oil rigs and oil tankers, by the very nature of their massive size and exposure to the elements, are susceptible to myriad dangers. And when those risks materialize, the safety of the men and women operating these maritime behemoths must take top priority. In the case of a hurricane, energy giant Shell Oil says it begins evacuating non-essential personnel from offshore platforms and drilling rigs, starting with sites closest to the hurricane’s anticipated path. Like Shell, most of the larger oil companies have evacuation down to a science, particularly during hurricane season. In many cases the evacuation from oil rigs or oil tankers is highly manageable, with no more than a few dozen people having to be transported at times. Thus, in most cases, the evacuees can simply grab a taxi, book themselves into a hotel room, or make other similar accommodations. But what happens when the evacuation is so immense that you are suddenly relocating thousands of workers to the nearest mainland? In October 2014, with the threat of a cyclone ready to batter the Gulf of Mexico, Mexico’s state oil company, Pemex, evacuated 15,000 workers from more than 60 platforms in the Gulf of Mexico—all with the need to be transported and lodged. Anticipating worst case scenarios is a prerequisite. Although travel by executives at the C-suite level in these types of companies is handled with the highest priority, to deal with the constant movement of lower-level workers, many companies enlist the services of travel management companies to coordinate getting personnel from land to rigs, tankers, drills and pipelines and back. This massive orchestration includes coordinating accommodations, lodging, weather alerts, translation services and other types of ticketing. Certain industries, such as oil and gas, need to send employees to work in the world’s “hot zones.” According to a USA Today report, three Americans were among 38 workers killed in the 2013 siege of an Algerian gas plant in which Islamic terrorists used hostages as human shields after their attempted mass kidnapping for ransom went awry. Seven U.S. citizens survived the attack. This illustrates that the need to move crews swiftly isn’t always at the mercy of weather conditions. This is where a real-time knowledge of the current political climate is necessary, including the best exit points, and how to travel safely within those countries should the need to evacuate a facility arise. Other times the challenge includes getting workers from a major airport to a remote location—perhaps where a helicopter undertakes the last leg of the trip out to the site. Oil and gas industry travelers also need to realize that the flight on a major airline to get into a somewhat unstable country isn’t the problem; it’s traveling within the country, where options are often very limited. 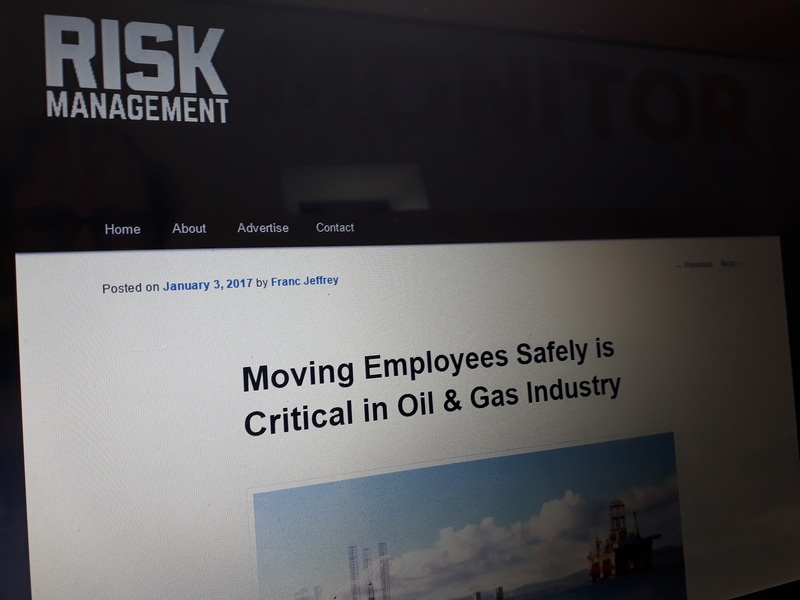 Fortunately, the recent boom in technology has helped make personnel travel safer, as they can now receive electronic alerts regarding risks such as natural catastrophes, labor strikes, and changes in flight schedules. There is the potential for a number of problems to arise when operating these marine locations, both weather-related and man-made. And the cost of finding solutions to these situations can often be crippling and costly to a business, both in terms of valuable staff time wasted as well as the difficulty in finding the time or the resources to source viable, inexpensive travel alternatives.